It certainly has been a busy year this year for interior designers, with interior design taking off and big projects coming with it. Mim Design also being shortlisted for 2014 Workplace Design at the Design at the Australian Interior Design Awards. Interior Design was so popular this year that two stories about it made our list of top 50 articles of 2014. Here we listed the eight Aussie interior designers we knew were going to do big things this year. The list included Hecker Guthrie, Mim Design, Adrian Amore Architects, Acme&Co, Conrad Gargett Riddel Ancher Mortlock Woolley, Travis Walton Architecture, Atticus & Milo and Those Architects. 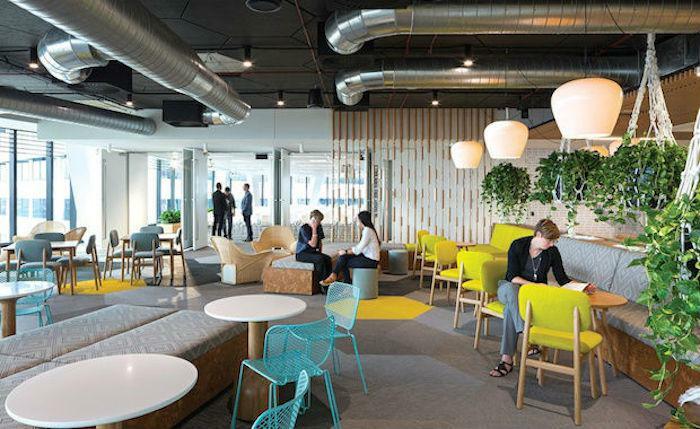 were shortlisted for their project The Windsor Annex, at the Australian Interior Design Awards 2014 for Retail Design, Mim Design were shortlisted for 2014 Workplace Design with their Little Group office fit out at the Australian Interior Design Awards. Adrian Amore Architects won three awards at the 2014 Australian Interior Design Awards, Acme&Co won the Design Award at the 2014 Australian Interior Design Awards, Conrad Gargett Riddel Ancher Mortlock Woolley were shortlisted for their Workplace Design at the 2014 Australian Interior Design Awards. Travis Walton Architecture won the Retail Design Award at the 2014 Australian Interior Design Awards, Atticus & Milo were shortlisted for two Australian Interior Design Awards and Those Architects won the award for Workplace Design at the 2014 Australian Interior Design Awards. In this article we took a look at five different office spaces that we thought deserved top marks for their good interior looks. Arrow Energy’s Brisbane Office by Geyer, Plus Architecture Melbourne Office by Plus Architecture, Downer EDI Sydney Office by Hassell, Coda Studio Fremantle Office by Coda Studio, BVN Sydney Studio by BVN Donovan Hill were all made over and were given not only practical, but aesthetically pleasing new looks freshen up the offices. Remember, it’s what’s on the inside that counts!